Calvert native, Don Davis, has worked as a session musician on over 3,000 recordings, was a music publisher, record producer, songwriter, music arranger, hosted an early morning television show, and was music director for a network television show. Davis joined the Grand Ole Opry in 1945 playing steel guitar as a member of Pee Wee King’s Golden West Cowboys. He remained on staff with WSM and the Opry as a musician and music director. Don played steel guitar for Minnie Pearl, Cowboy Copas, Dinah Shore, Ernest Tubb as well as on Hank Williams’ first hit “Move It On Over”. As a producer he worked with Johnny Cash, Lefty Frizell, Kitty Wells, and Waylon Jennings to name a few. 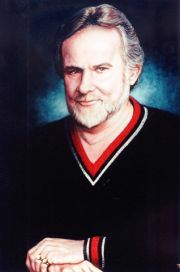 Davis is a 1997 Lifework Award for Non-Performing Achievement recipient. The following is a partial list of Artists he recorded with on his Steel Guitar. His other works consist of being on the staff of WSM and the Grand Ole Opry in charge of putting together bands to work with the "New" artists joining the Opry. He held this position from 1948 until 1950. Being a country musician he is proud to say that he and hank Garland were honored by being invited to jam sessions that included such Jazz greats as Lionel Hampton, Oscar Moore, Slam Stewart, Nat Cole, and Ray Wetzell. His "Steel Guitar" heroes were Leon McAuliffe, Joaquin Murphey, Noel Boggs and Slim Idaho. He never thought he would ever see the day he would be able to play as well as those guys! But he did! He was drafted into the Army in October of 1950 and returned to the Opry in 1952. Beside recording, touring and working on the Opry he worked network Television either as a musician, music director, or associate producer. (this work was done in Nashville, New York, Springfield, MO. and Hollywood 1952 - 1985). In 1955, Hank "Sugarfoot" Garland, Shot Jackson and Don designed and built ten custom Pedal Steel Guitars. They were the second to build a complete custom pedal steel in the nation. Paul Bigsby of Downey CA. was the first. Sugarfoot and Don were too busy to continue building guitars (the brand name was "Daland") there fore Shot Jackson teamed up with Buddy Emmons and started Sho Bud. He hosted an early morning TV show along with his band at Channel 5 in Mobile Alabama from 1958 thru 1963 at which time he returned to Nashville and joined songwriter Harlan Howard in the music publishing business. This gave him the opportunity to produce hundreds of demo sessions and gave him the experience to become a record producer. Below is a list of people he has produced.